6:30 PM – 8:30 PM at the ADRC (Aging and Disability Resource Center) Building, 650 Forest Avenue, Sheboygan Falls Wisconsin. Founded in 1977, the Sheboygan County Beekeepers Association has an active membership of both experienced and “newbee” beekeepers. Members share their expertise, experience, and promote the hobby of beekeeping throughout the east-central Wisconsin area. 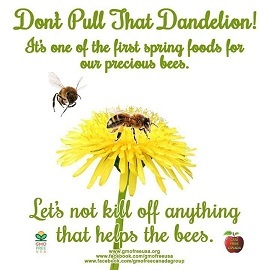 To Promote the livelihood of the many wonders of Mother Nature … bees. News CHECK OUT THE LATEST NEWS HERE! Meetings are held March through November on the second Tuesday of each month at 6:30 p.m. (except as stated) at the ADRC (Aging and Disability Resource Center) Building, 650 Forest Avenue, Sheboygan Falls Wisconsin. Dues are paid yearly in March at $10 per family. Comments and suggestions are always encouraged and welcomed! A Family Picnic is held in June (Rochester Park – Sheboygan Falls) and a Potluck Dinner (ADRC) is held at the November meeting. These two meetings start at 6:30 p.m. Spouses and family members are also invited! Books are available to members for check-out. Listings of these books are available on the Club Library tab above, and can be checked-out from the Club Librarian, Annette Selk. Look for us on Facebook.com too! This is the “official” Facebook page for club members. If you have club-centric questions, go here! This is a “group” that reaches beyond Sheboygan to beekeepers across the globe. Very active and a great place to ask questions!